MR. SNEEKERS is a canvas sneaker brand released for the U.S. market by MOONSTAR COMPANY in the 1960s. In the U.S, the canvas shoes were used only for sports at that time. 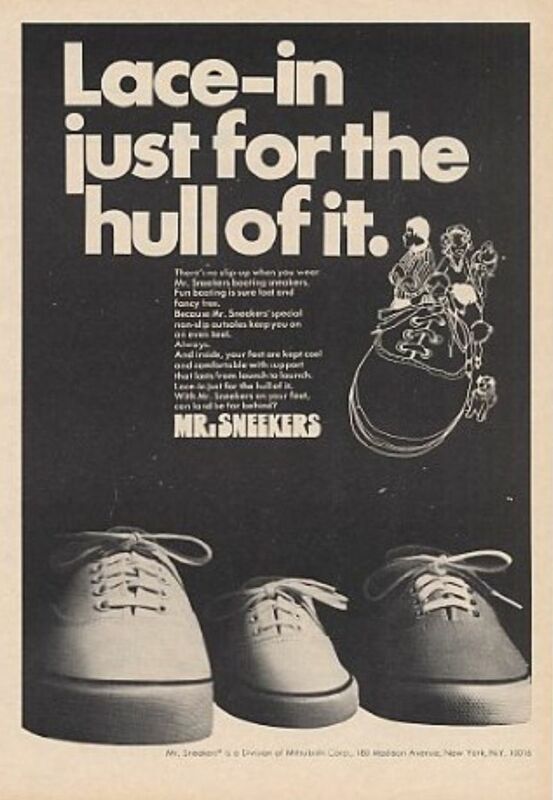 The simple designs and superior quality of the MR. SNEEKERS had them recognized as modern leisure shoes and initiated the canvas sneakers to be used in everyday life, and also triggered the canvas sneaker craze according to MOONSTAR COMPANY's archives. Various materials were used for the upper such as cotton, corduroy, velveteen, flannel and etc. The demands of the canvas sneakers that rapidly grew in the 1960s, increased twice as much compared to the 1950s, and it is obvious that this was the time when the canvas sneakers became popular drastically. LACE-IN JUST FOR THE HULL OF IT.